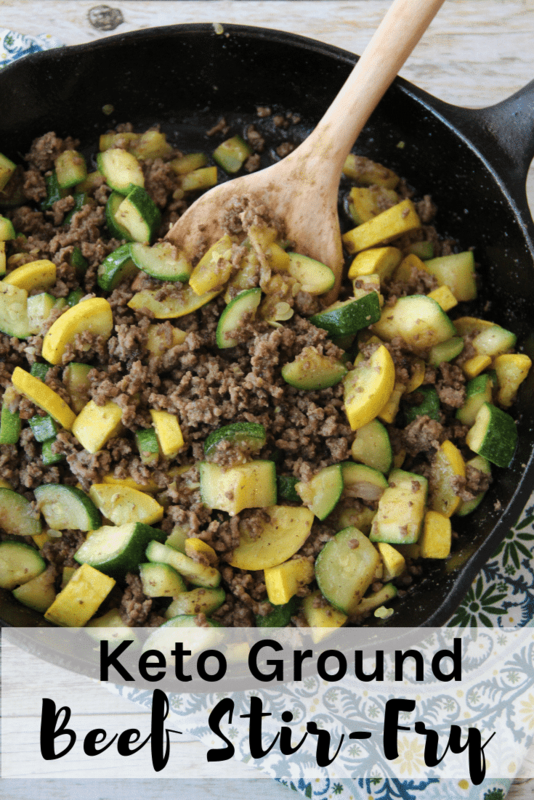 Keto Ground Beef Stir-Fry is so easy to make and it tastes delicious! Pair with a garden salad for a complete meal that takes minutes to get on the table. Lunchtime always seems to get crazy with all four kids at home. Needless to say, an easy lunch just makes everything go smoother. I’ve been committed to eating healthy the past couple of years and am always looking for simple and quick lunch ideas. 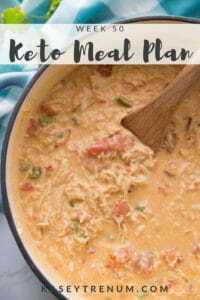 As I was looking through the refrigerator today for inspiration, I came up with this super easy recipe and made enough to cover lunch for several days. 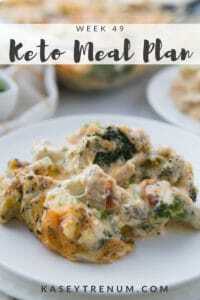 You could make this lots of different ways by adding different veggies. 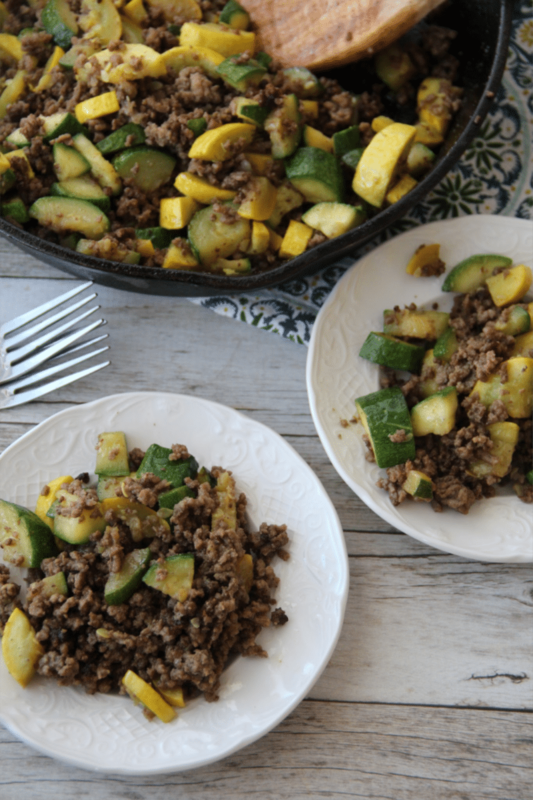 I love this Keto Ground Beef Stir Fry as it gives some variety to our lunches. While I often eat leftovers for lunch, this was a breeze to throw together since I keep ground beef already browned in the freezer. I like dicing my zucchini and squash so that it keeps them bite size. Sauteeing them in butter really brings out incredible flavor in the Keto Ground Beef Stir Fry. You’ll notice that I add Bragg’s Liquid Aminos for added flavor to Keto Ground Beef Stir Fry. If you’ve never used it, Bragg’s is a healthier version of soy sauce that I use in many recipes for incredible bold flavor. If you are avoiding soy, you’ll want to use Coconut Aminos. Yum! 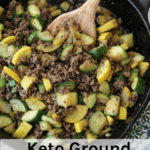 I love making this Keto Ground Beef Stir Fry at the beginning of the week to cover my lunches for several days. 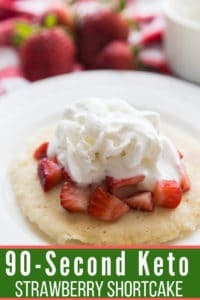 It is so flavorful and easy to make. In a skillet, brown ground beef, garlic cloves, and onion. Drain ground beef mixture and set aside. Add 3 tablespoons of the butter to the skillet. 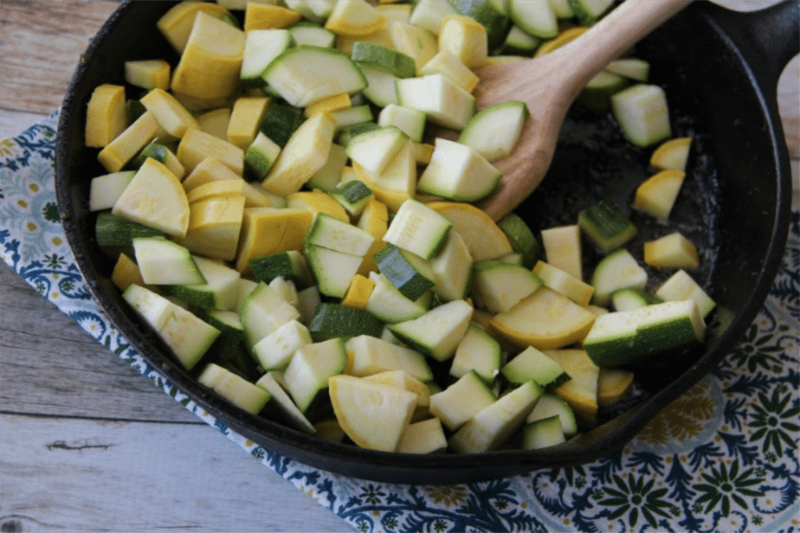 When the pan is hot add squash, zucchini, and seasoning. Sautee' until veggies reach desired consistency. 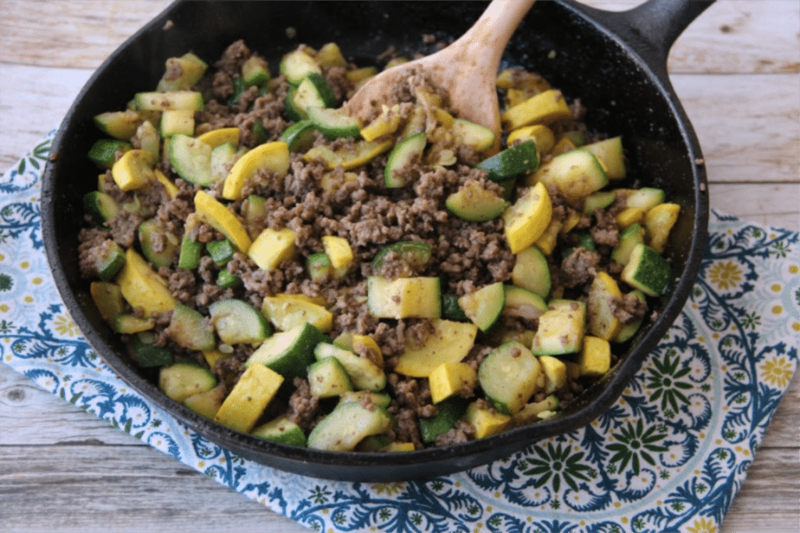 Add ground beef, Bragg's Aminos, and the last tablespoon of butter to veggies and saute on low for 5 min. 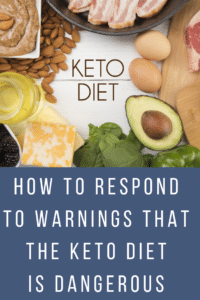 If you are looking for more keto and low carb recipes, check out my keto recipe index. 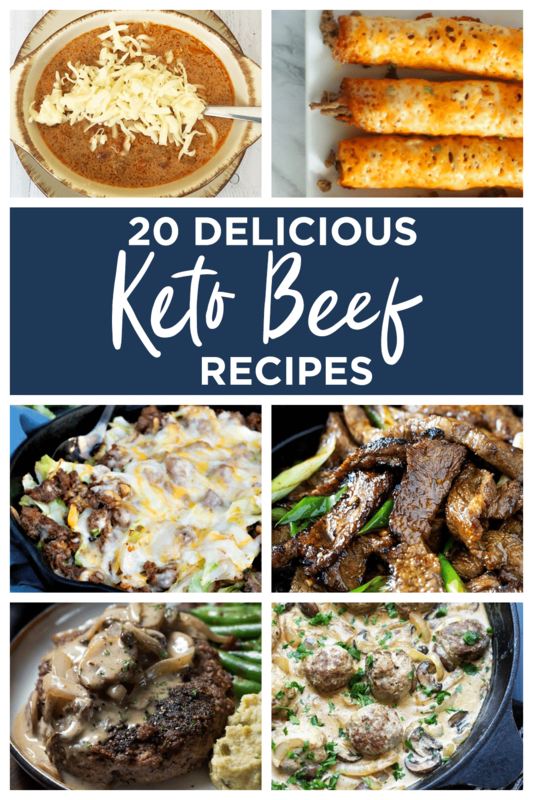 Don’t miss this great list of Delicious Keto Beef Recipes. I did not measure each serving. Instead, I just divided it into equal serving sizes. Where can I find “garlic and herb seasoning” ? Thank you! Eager to try this! I found it at my local grocery store. 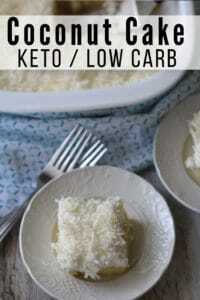 Next time I may serve aver cauliflower rice.